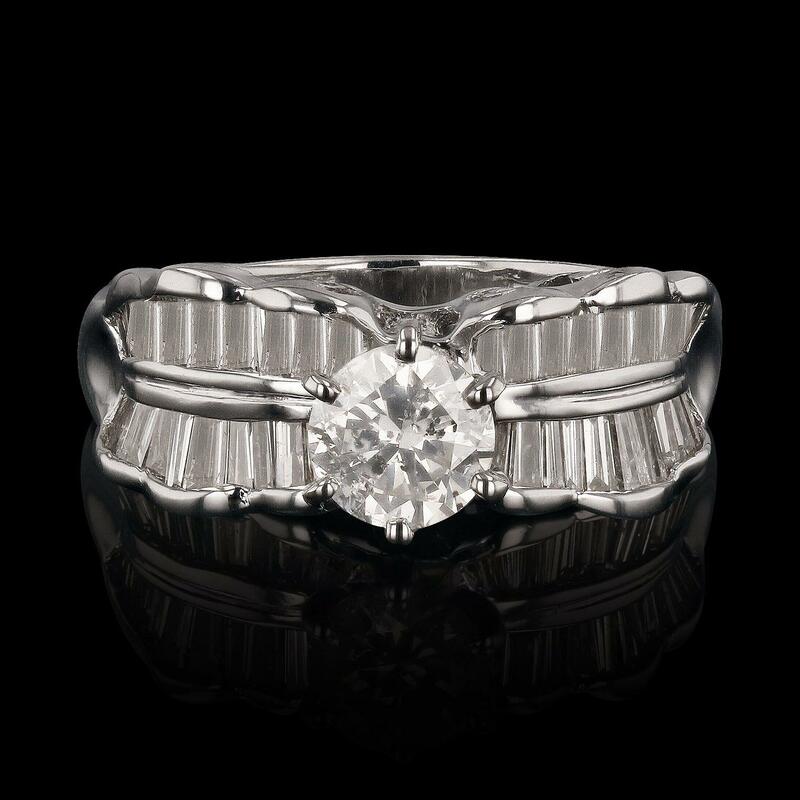 One prong set round brilliant cut diamond, measuring 5.75 - 5.70 x 3.44mm (depth est.) approximate weight of 0.71ct. Graded in the setting. Forty-four channel set baguette cut diamonds, measuring from 2.00 x 0.80 x 0.68mm (depth est.) to 2.50 x 1.10 x 0.94mm (depth est.) approximate total weight of 44 Stones = 0.75ct. Graded in the setting.